����� ������ 100��, alizarin crimson N:054 7.40��. ����� ������ 100��, buff titanium N:065 7.40��. ����� ������ 100��, chrome green hue N:060 7.40��. ����� ������ 100��, dark yellow cadmium hue N:052 7.40��. ����� ������ 100��, prussian blue hue N:056 7.40��. ����� ������ 100��, red earth N:063 7.40��. ����� ������ 100��, titanium white N:011 7.40��. ����� ������ 100��, turquoise green N:058 7.40��. ����� ������ 100��, yellow earth N:062 7.40��. ����� ������ 100��,azo pink N:055 7.40��. ����� ������ 100��,bright yellow N:051 7.40��. ����� ������ 100��,burnt umber N:029 7.40��. ����� ������ 100��,cadmium green imit.N:043 7.40��. ����� ������ 100��,cadmium orange imit.N:032 7.40��. ����� ������ 100��,cerulean blue N:028 7.40��. ����� ������ 100��,dark cobalt violet imit.N:047 7.40��. ����� ������ 100��,fluo orange N:370 7.40��. ����� ������ 100��,fluo pink N:371 7.40��. ����� ������ 100��,green earth N:061 7.40��. ����� ������ 100��,hookers green N:044 7.40��. ����� ������ 100��,indigo N:057 7.40��. ����� ������ 100��,irid.blue black N:360 7.40��. ����� ������ 100��,irid.green blue N:358 7.40��. ����� ������ 100��,irid.green yellow N:359 7.40��. ����� ������ 100��,irid.orange yellow N:353 7.40��. ����� ������ 100��,irid.red blue N:354 7.40��. ����� ������ 100��,iridescent copper N:355 7.40��. ����� ������ 100��,iridescent gold N:352 7.40��. ����� ������ 100��,light azo yellow N:013 7.40��. ����� ������ 100��,light ultramarine blue N:025 7.40��. ����� ������ 100��,oriental violet N:021 7.40��. ����� ������ 100��,paynes grey N:040 7.40��. ����� ������ 100��,phthalocyanine emerald N:042 7.40��. ����� ������ 100��,primary magenta N:050 7.40��. ����� ������ 100��,primary yellow N:048 7.40��. ����� ������ 100��,red ochre N:034 7.40��. ����� ������ 100��,transparent vermilion N:019 7.40��. ����� ������ 100��,venice yellow N:035 7.40��. ����� ������ 100��,yellow ochre N:027 7.40��. ����� ������ ���� 37��,�.1,burnt umber N:108 7.50��. 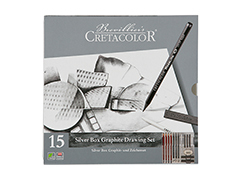 ����� ������ ���� 37��,�.1,graphite N:134 7.50��. ����� ������ ���� 37��,�.1,ivory black N:105 7.50��. ����� ������ ���� 37��,�.1,mars black N:126 7.50��. ����� ������ ���� 37��,�.1,raw sienna N:114 7.50��. ����� ������ ���� 37��,�.1,raw umber N:109 7.50��.